Livio is understandably proud of his incredible creation as he travels through Venice's canals. 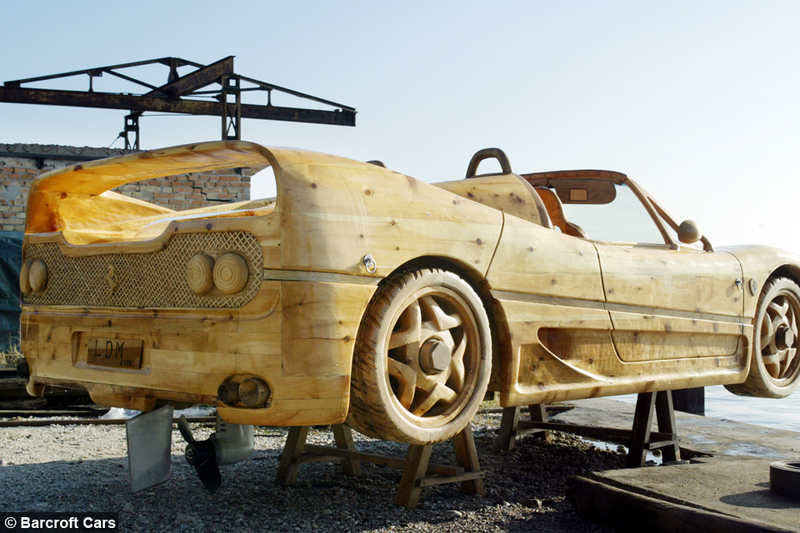 Livio De Marchi spent five months whittling a block of pine into a Ferrari F50 – an Italian car fit for the Italian canals. 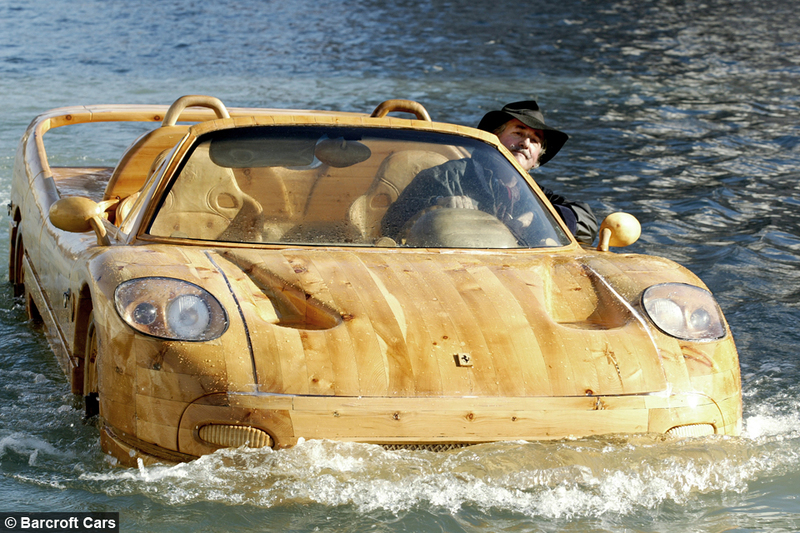 The craftsman carefully carved the famous logo, rims and brake lights into the wood and added a Yamaha boat engine to power it through the water. The eye-catching vehicle, which weighs 2000 pounds, is a solitary motor in Venice’s waterways packed with gondolas, yachts and floating taxis. 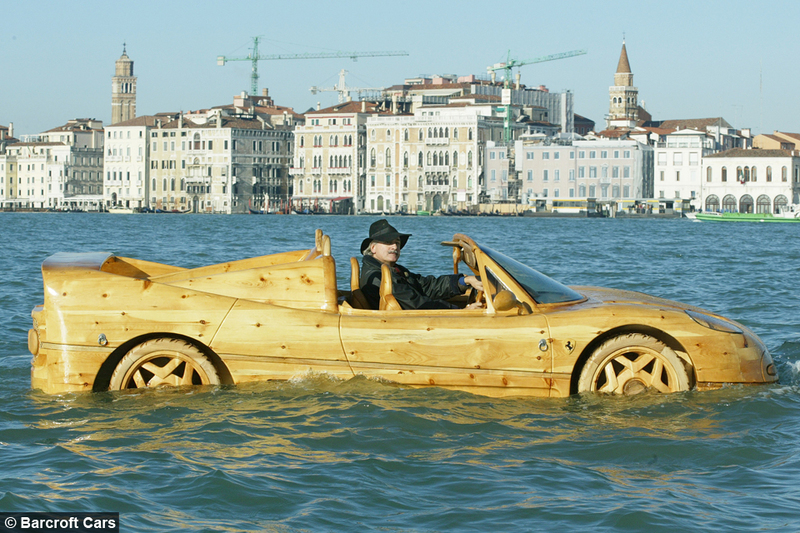 King of the waters: Livio spent five months whittling pine wood to make the Ferrari. 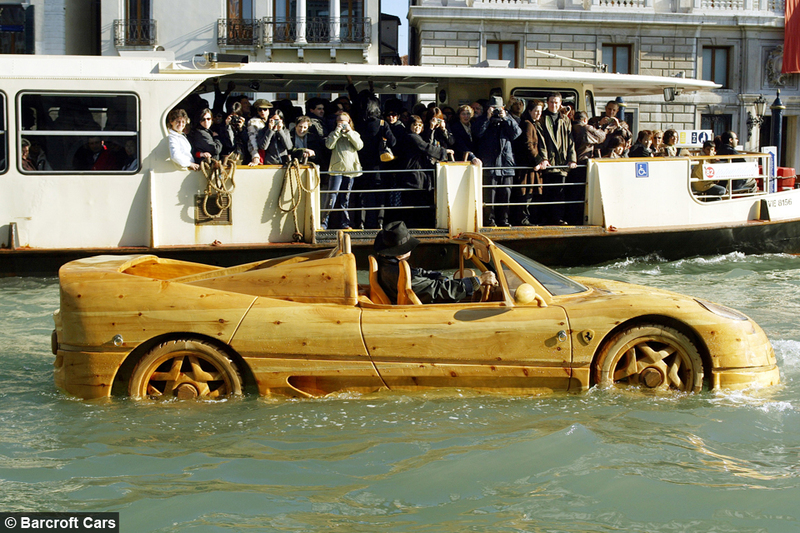 The eye-catching vehicle is a solitary motor in Venice’s waterways packed with gondolas, yachts and floating taxis. Livio’s Ferrari is another addition to his collection, which joins a 1937 Jaguar, VW Beetle, a Mercedes and a Cinderella-style pumpkin carriage for his daughter’s wedding. The motors have since been donated to an American museum and this year Livio’s prized Ferrari toured the U.S. with Ripley’s Believe It Or Not. 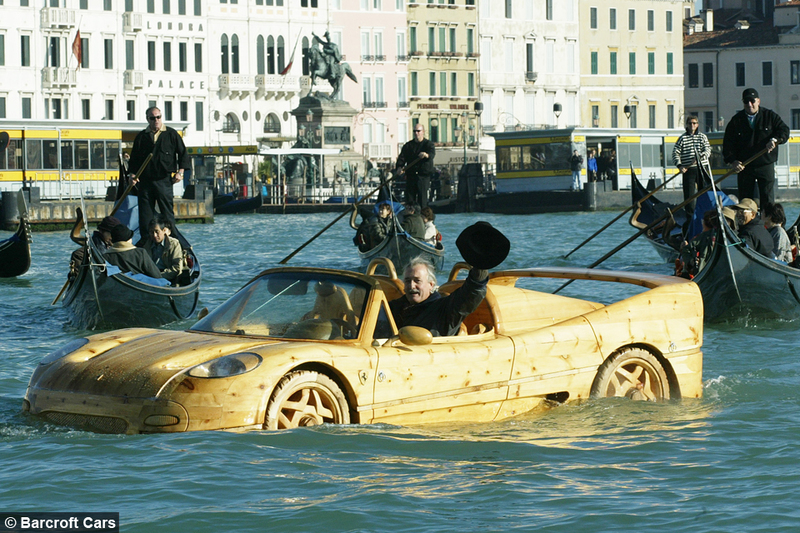 All cars are banned in the city of water - except for Livio's Ferrari-shaped boat. Livio came up with the idea after being bullied in a smaller boat he originally used for getting around. He said: “I thought Venice would be like it was a hundred or two-hundred years ago when there weren’t any motorboats and you could travel along in a beautiful, peaceful way. The detailed sculpture includes the famous logo, rims and brake lights. “But, paddling along in my little boat, I got out on the Grand Canal and all of a sudden up came the waves and the motorboats. “I said to my little son, who was with me, we’ve got to go back because this Grand Canal has turned into a freeway." After his rough experience on the waves, Livio decided to build his very own Ferrari boat - especially as he says he couldn't afford to buy a real Ferrari. 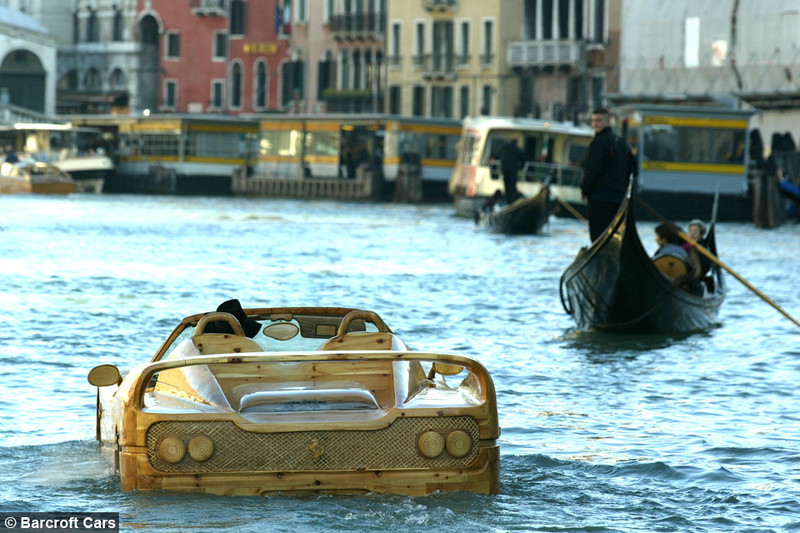 Livio's Ferrari attracts attention on Venice's canals.